Hello, reviewing twin! 😉 😀 I echo practically everything you’ve said about this book, except that I liked the present tense; in this case, it worked for me. I, too, have abandoned so much histfic; that phrase ‘you can’t judge a book by its cover’ is very apt in this case – I see so many with the beautiful, professional cover that makes me buy – and then the book is written in the manner of a low end of the range romance, with ludicrous dialogue. One thing I so appreciated about this book was that I could tell it was so well drafted and edited; there was nothing sloppy about it at all. 🙂 ‘You can’t judge a book by its cover’ is definitely true in self-publishing! This was really well-written and professionally presented; I’d definitely read more by Tony Riches. One to keep an eye out for. My review of ‘Owen’ by Tony Riches. Definitely one for historical fiction fans. Sorry, I mean present tense, not first person!! 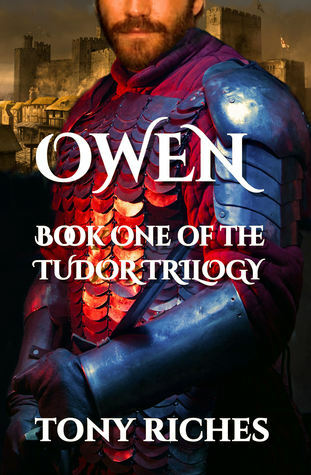 Owen already on that list – always been intrigued by what happened to Henry V’s Catherine, and this sounds a great way to find out. Great review, Alison! I know what you mean about writing in the present tense… I always feel it works better for shorter works than novel length, but that is just my personal opinion. Having said that, this book sounds like a great read. I love it when an author gets his research right. Makes all the difference as to how convincing and authentic the story comes across. Spot on Ali, so important in making the reader’s experience a good one.